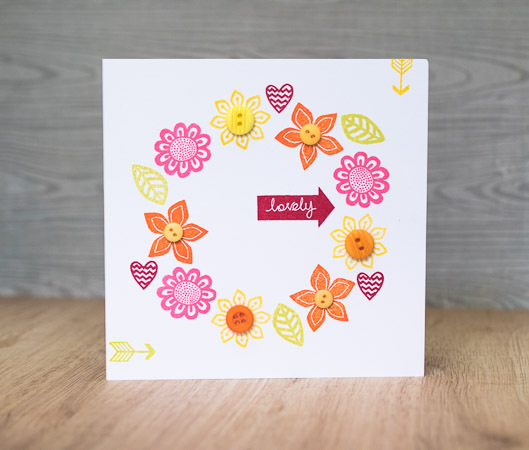 I am back with one of my favourite stamping type of cards which is to create a colourful wreath perfect for the spring. 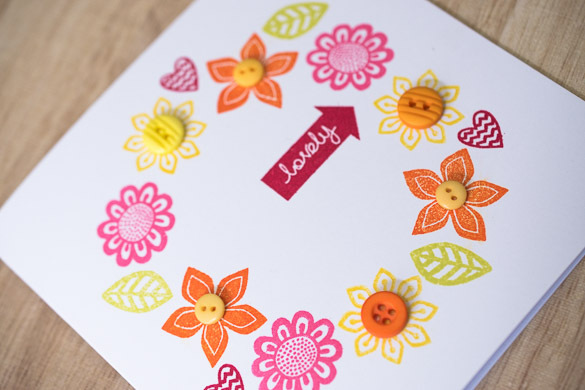 I used only the Craft Asylum Tribal Adventure Clear Stamp Set, an acrylic block, inks and buttons. 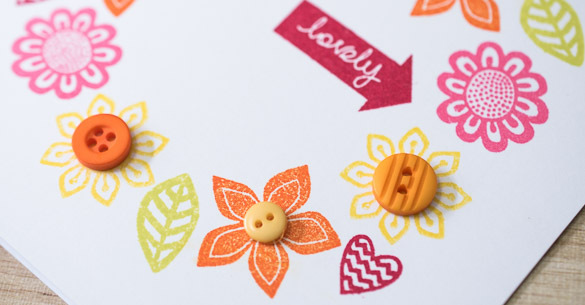 Very simple but quite full of colour and pretty shapes. I first draw a 4" circle (you can use a die cut circle, a little plate...) and then I stamped first the larger flower three times, then the second largest flower, and so on until the whole wreath was complete. Finally I added the sentiment, the little hearts and glued the buttons. This week blog post for Craft Asylum is out now. Click here or on the photo for the direct link.